Authentic gong bath sound healing for relaxation and expanded mind states. Imagine being bathed in gentle tuned resonances that penetrate throughout your body, dissolving energy blockages and entraining you to mental clarity, emotional calm, and somatic balance. Tibetan healers perfected the art and science of deep sound healing centuries ago—and now you can experience its effects yourself. 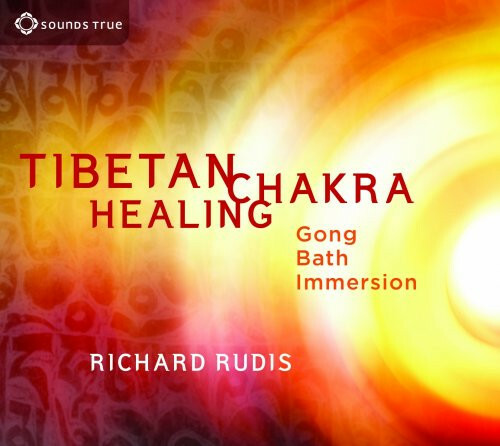 With Tibetan Chakra Healing, musician, sound healer, and meditation teacher Richard Rudis offers an authentic experience of the gong bath—natural, precisely tuned resonances that promote relaxation, physical health, and expanded mind states. What I LOVE about this very sweet & amazingly transformative sound journey is that Richard Rudis is projecting the PHI Ratio & the Fibonacci Sequence through the Earth Gong while addressing each Chakra in turn bringing us back into harmony with Nature (fibonacci mathmatical sequence found in all living matter). The Earth Gong resonates at 136.1 Hertz which is the frequency of Joy & of our Earth so with the Gong, the mathmatical sequences & all the Sacred Geometry he projects through the Gong during this hour long experience is truly life changing on a Spiritual, Mental, Emotional & Physical level.